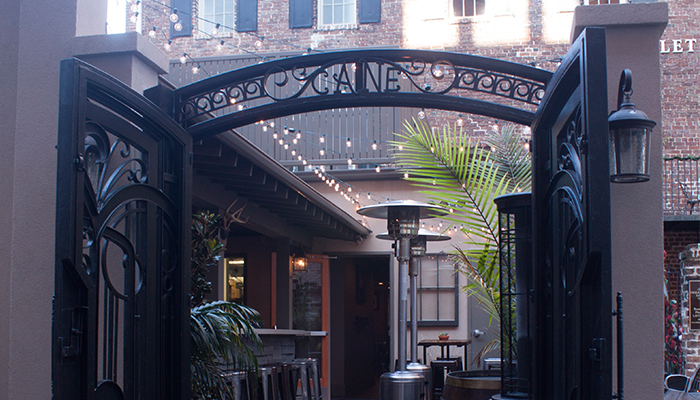 Savannah is a beer-lover’s paradise with its many pubs, bars and its special to-go cup policy in the Historic District. 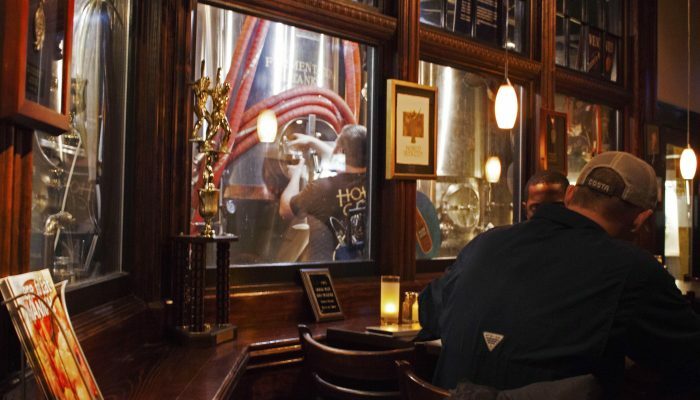 The city has developed a craft culture unlike any other, with local breweries popping up one after the other, and has become the place to go for beer-enthusiasts and craft connoisseurs alike. 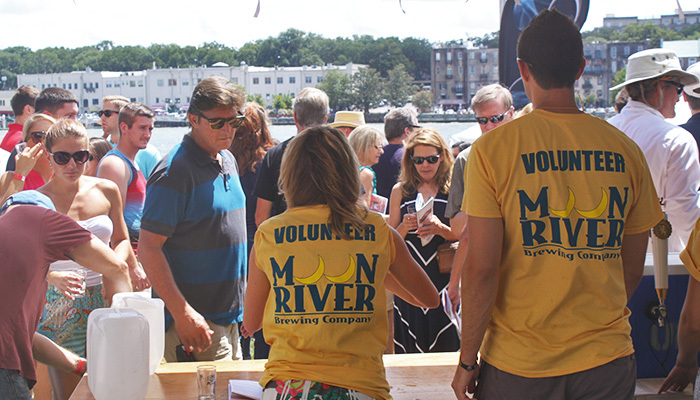 Because beer has become such an iconic part of Savannah’s culture, we’ve put together a list of five beer-related activities that make Savannah so special! 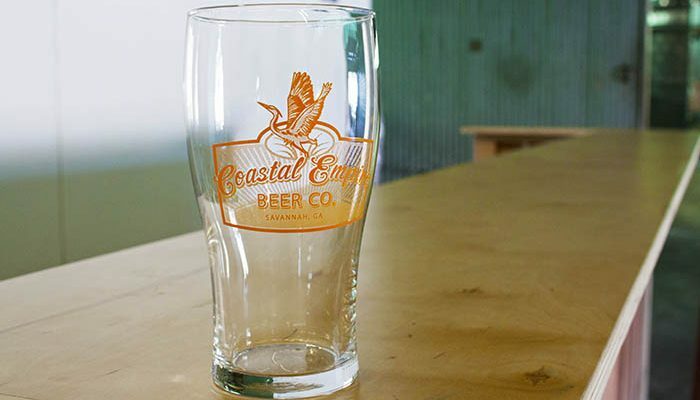 There might not be an overabundance of breweries in Savannah, but there are a handful of local breweries who certainly make the craft culture special in the Hostess City of the South. 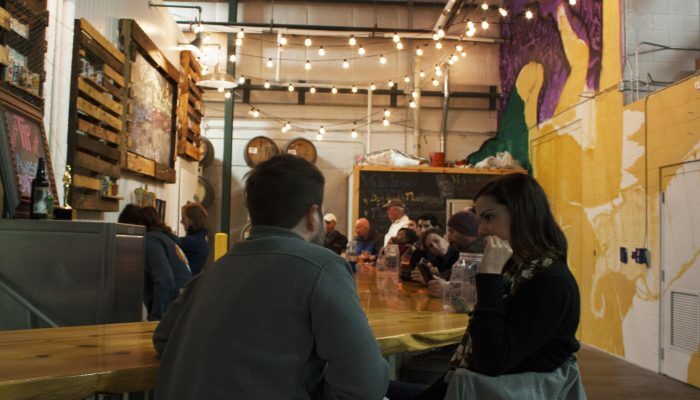 These breweries are owned by amazing folks, who host tours featuring tastings and often have many specials brews that can only be found on tap in their brewery. 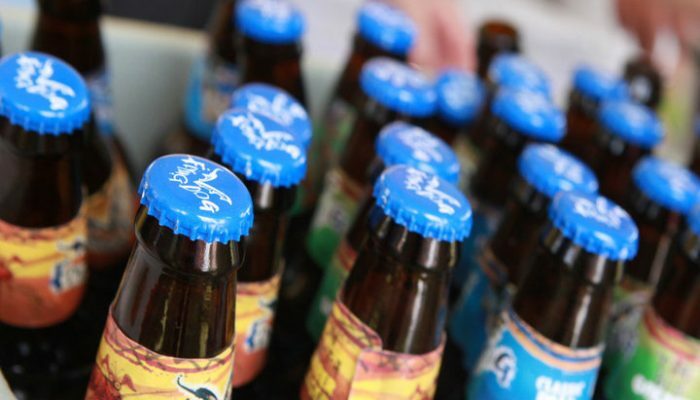 This is one reason you really can’t miss Service Brewing Co.—they have their own Research and Development line of brews which are only available in their brewery! Some weekends, guests will even be delighted to find live music, games, hilarious tour guides—plus, you can even see the milling process and the tanks! 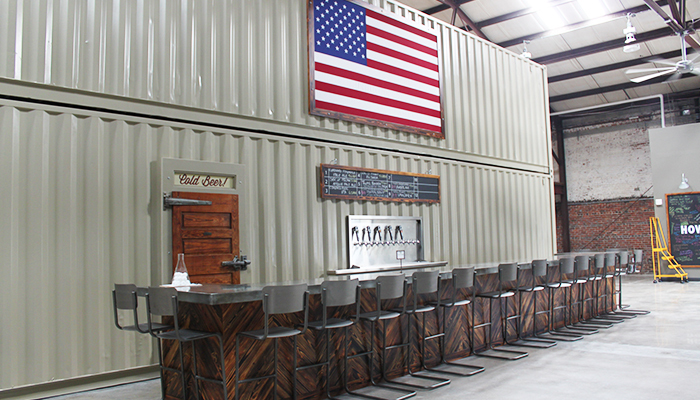 Whether you head to Southbound Brewing Co. or Coastal Empire Brewing Co., both right outside of the Historic District, or stop at Moon River Brewing Company, a brewpub located right in the heart of Downtown Savannah, you’re sure to find a brew that’s right for you and learn a little too! 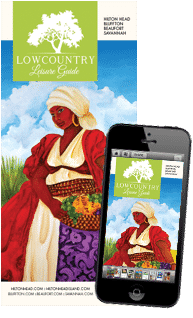 Are you looking for a super engaging, fun group activity, which allows you to see the city in a completely new way? 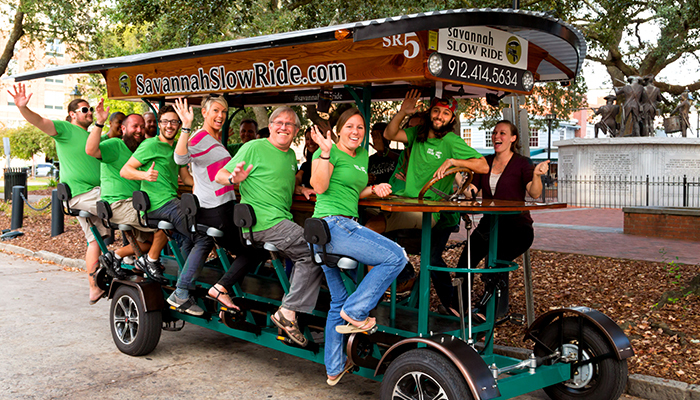 If so, then check out Savannah Slow Ride and Savannah Pedals—two companies who specialize in getting around Savannah in the most unique way around—with a pedal bar! 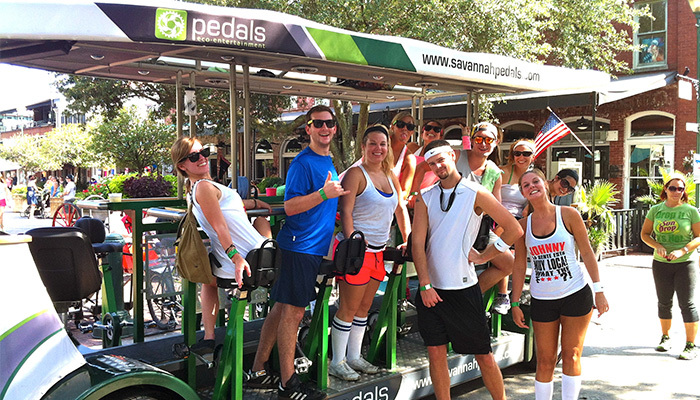 Enjoy your favorite beverage while pedaling around downtown with your closest friends and family. 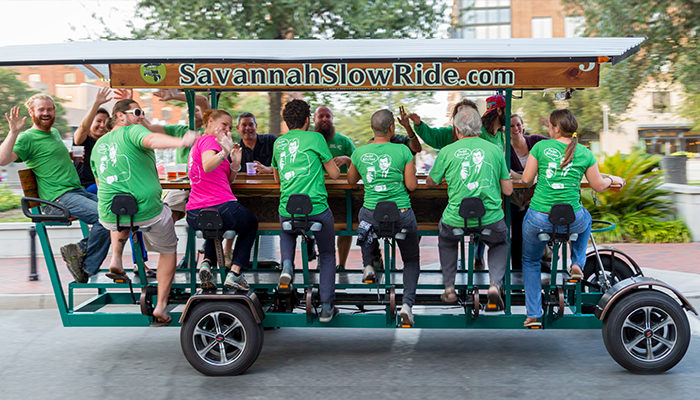 Take it slow on a 15 person bike-crawler with Savannah Slow Ride and get into all kinds of shenanigans with your friends and family as you cruise around town together! 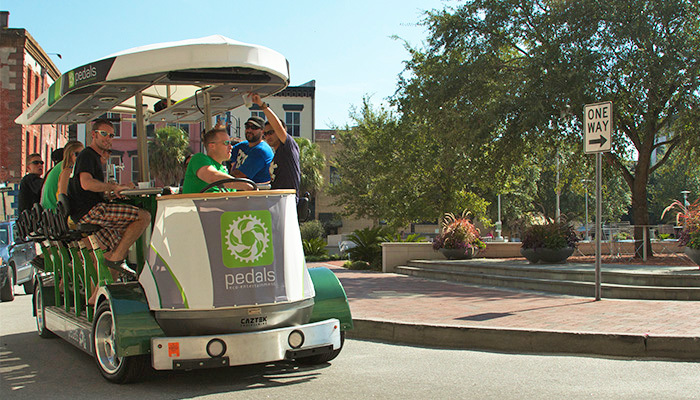 Or check out Savannah Pedals and enjoy your favorite beverage as you pedal around downtown on one of their eco-friendly, re-invented quadricycles with your closest friends and family. This extremely popular activity is definitely a favorite of bridesmaids and groomsmen! If you’ve been to Savannah before, you might have been on a walking tour or tagged along on a ghost tour. 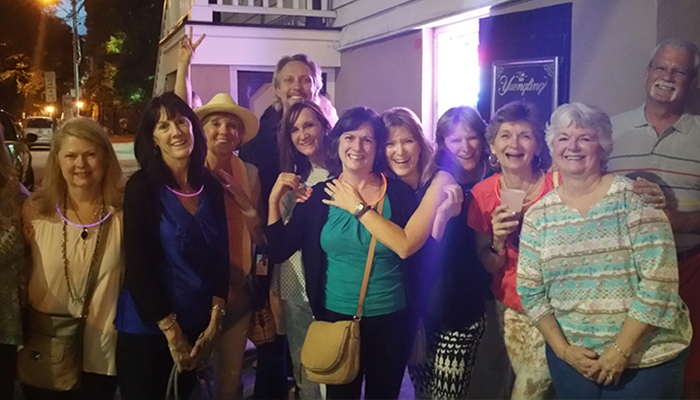 Well, why not take it to the next level and go on an adventure with one of the many Pub Crawls and Pub Tours in Savannah? Learn about Georgia’s First City with Full Moon’s half history-half spooky ghost tour and enjoy your favorite beverage as you walk through the enchanting Historic District. 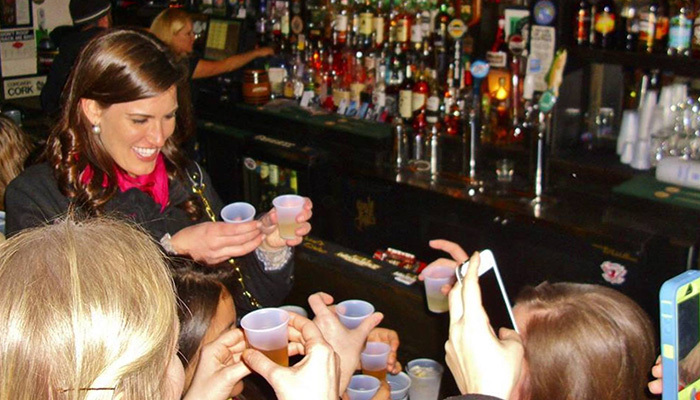 Listen to the hilarious tour guides from the Savannah By Foot’s Creepy Crawl Tour and pop in four of the most charming local pubs in downtown. 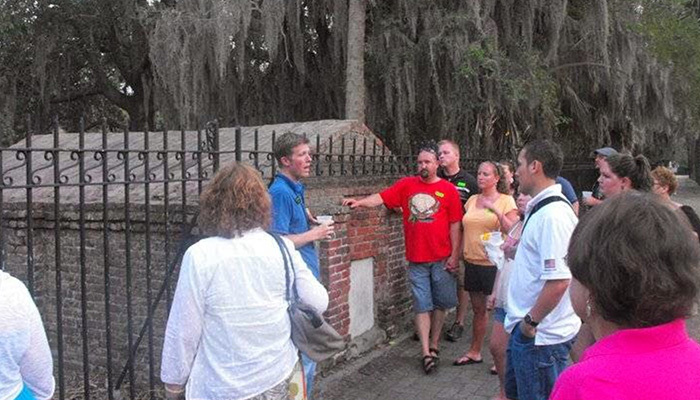 Or check out the most haunted locations and pubs in Savannah with Tara Tours Boos & Brews ghost tour! 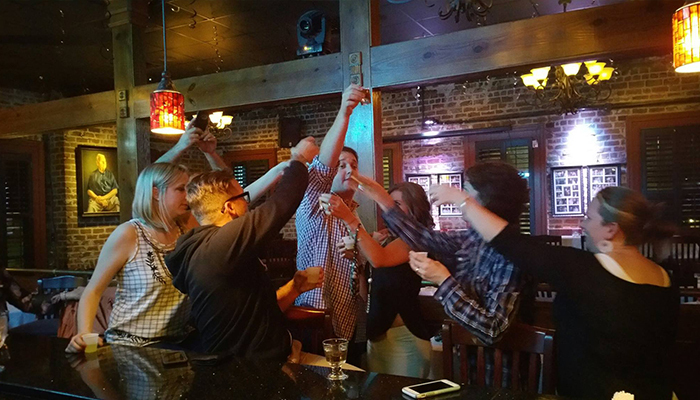 Whichever tour you choose, you’ll be sure to learn a lot about the history of Savannah, while enjoying a laid back evening drinking a cold one with your favorite people. 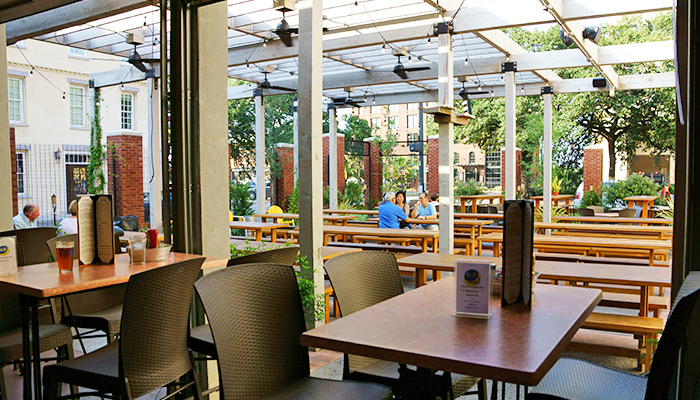 Venture out and discover the fun and friendly atmosphere in the different beer gardens around the Historic District and enjoy a locally-crafted beverage. 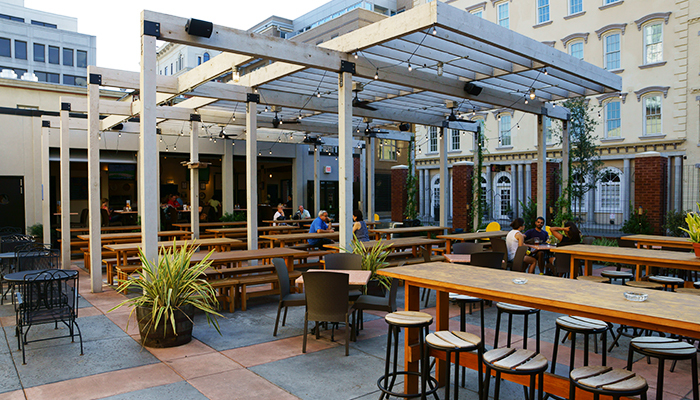 With an abundance of restaurants in Savannah, it comes as no surprise that many feature beer gardens—the perfect place to kick back and enjoy your bubbly treat. 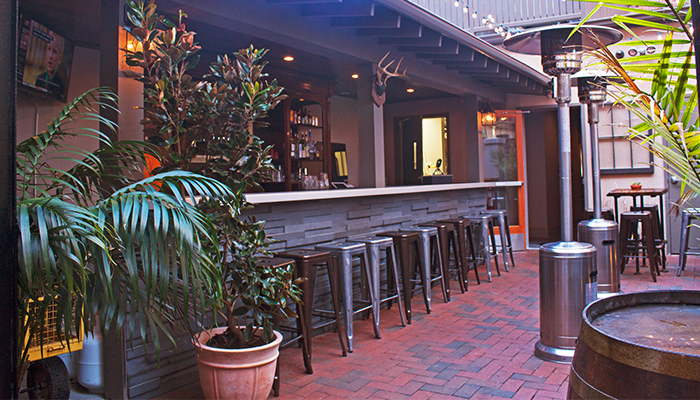 Featuring some of the most creative cuisine in town, Treylor Park offers an intimate yet lively outdoor space, while B&D Burgers on Congress Street offers what seems to be the largest patio, complete with a covered bar, couches, a stage and projection screen for enjoying evening games with a burger in one hand and a beer in the other. 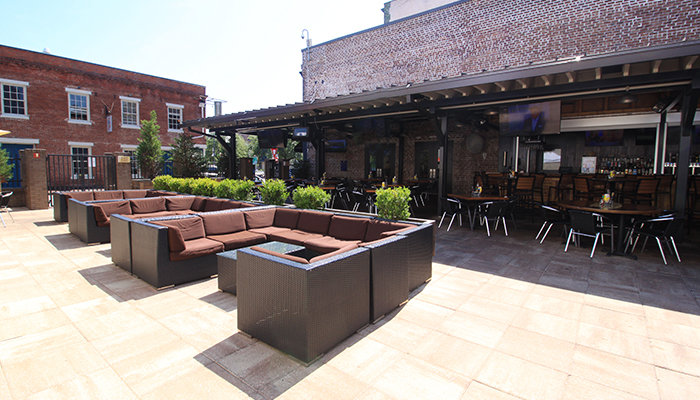 Moon River Brewing Company, Savannah’s first (and most famous) brewpub, has its own 5,400-square-foot beer garden featuring a garden house, complete with a kitchen, restrooms and bar with three garage doors, and is the perfect place to go with your pup and enjoy a lager, because they’re dog friendly! 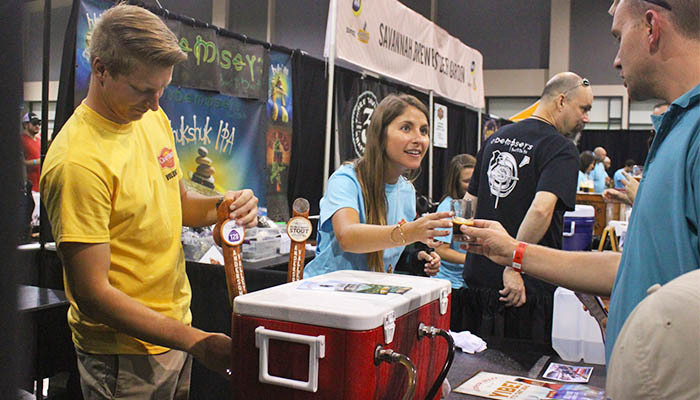 For the ultimate beer enthusiast, there are a ton of events and festivals in Savannah every year completely dedicated to the love of beer! 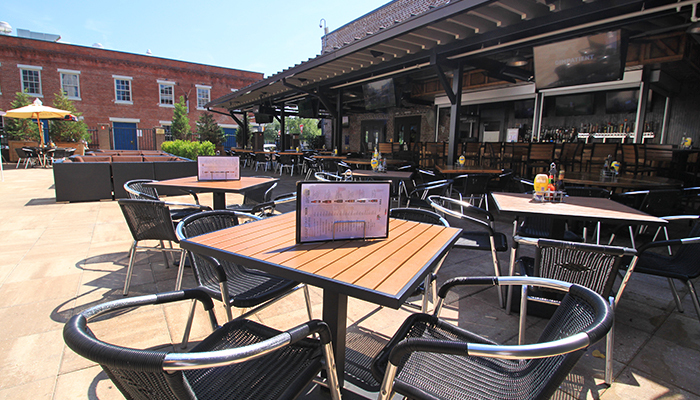 This not only includes Craft Beer Week and the Craft Brew Fest in August and September, but also Stafford Promotion’s many themed pub crawls throughout the year, as well as the Craft Brew Races in March. 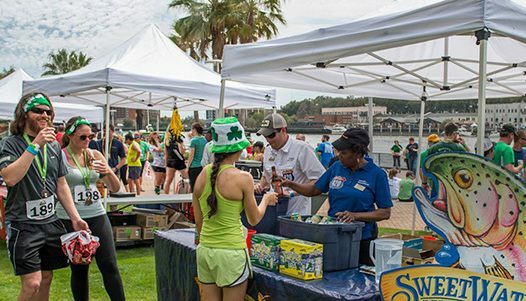 And you can’t forget about the ultimate event to celebrate your love for beer—at the Savannah St. Patrick’s Day Parade and the many St. Patty’s celebrations. 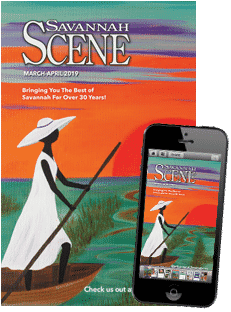 There’s almost always some type of beer-related event taking over downtown, and it always represents just how special beer and brews are to Savannah culture.